This year in my life moved me from central/eastern Canada to central/western Canada. That is to say, the move from Ottawa to Winnipeg brought with it some interesting spa adventures each characteristic of their surroundings. So I’d like to take the moment to feature some of the spas that I was able to visit while crossing this vast country. I consider the most successful bathing spa provinces to be: #1 Quebec, #2 British Columbia, #3 Ontario. So when I found out that I was leaving Ottawa (a central city with easy access to both Quebec and Ontario-based bathing spas), I began trying to make up some ground in researching fine Canadian spas. Scandinave-Vieux Montreal provides a great experience. 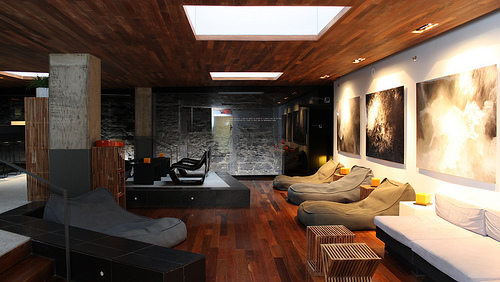 Its Old Montreal location has innovatively created an amazing retreat from the city, even within the city. Though Old Montreal is often touted as a pure tourist trap, I’ve actually gained a fresh appreciation for it. There is nothing as satisfying as to walk into a spa that uses its historical architecture to produce an amazing ambience, both inside and out. This is how I felt walking into Scandinave. Dim-lit grottos and contrasting glass with rough antique building stones provide a cozy, urban-chic environment that is more than suitable to forget where you are. This bathing spa has everything that you need; a hot dry sauna, a beautifully tiled round room steam suite, a warm whirlpool with waterfall, a cold plunge, and a surprising amount of relaxation areas. I was surprised, and pleased that they were able to pull off a luxury, indoor, bathing spa so well. Before I left Ottawa, I also made a trip to the Maritimes. 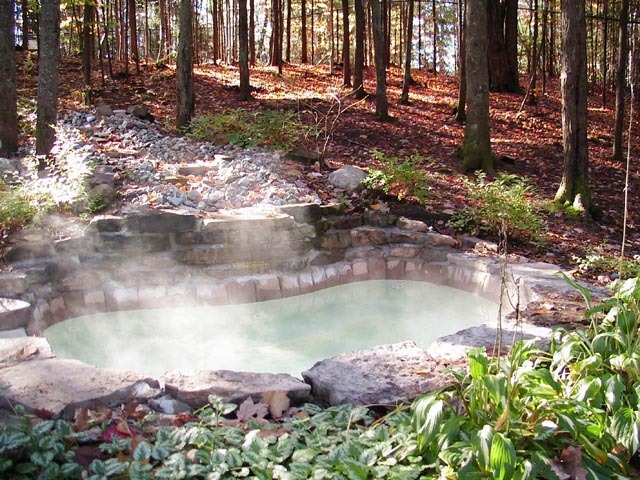 I searched very hard to find spas in New Brunswick and PEI that could be considered bathing spas, but ultimately it is hard to justify leaving Quebec. 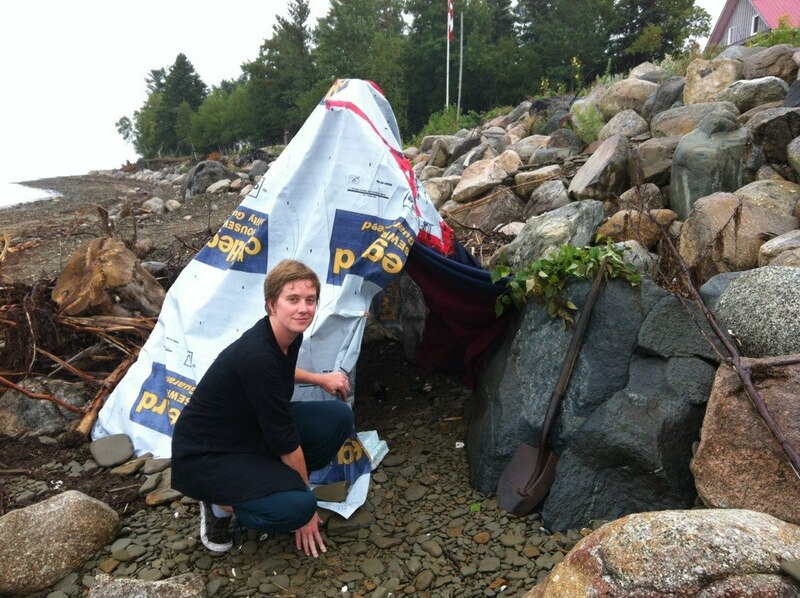 Instead we just built our own sweat lodge on the Miramichi. It wasn’t luxurious but it did get hot! And you can’t beat the location. Truly, there are so many around Quebec City that you may not want to drive that much further east. I visited Siberia just North of Quebec City and I was very happy I did. Siberia is an outdoor spa that has really taken advantage of the large and beautiful surrounding that they have. On a hill that leads down to a creek (in which you can actually cold plunge), Siberia is spotted with 2-4 person warm pools, dry saunas, outdoor and indoor rest areas, and nice little pathways to guide you through the landscaped forest. I just loved the unpretentious feel to this peaceful spa. You will always find a private nook in which to relax. 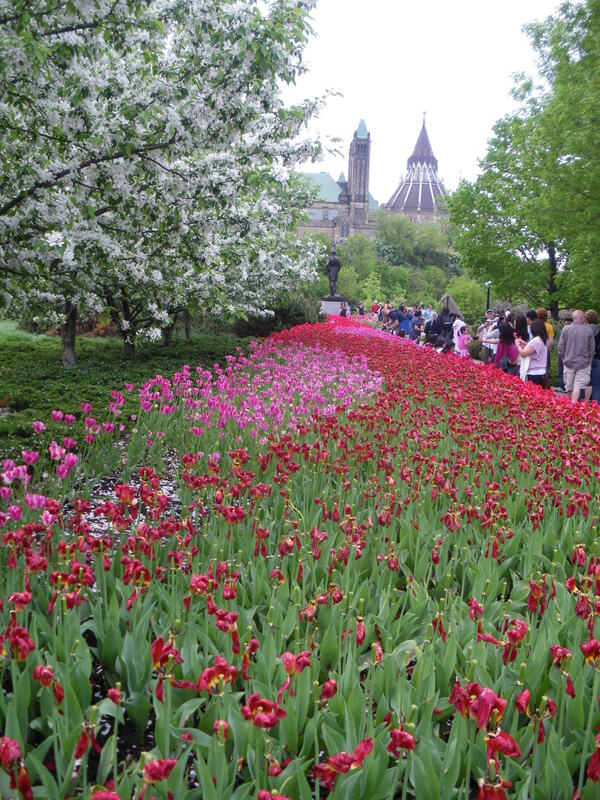 Of course there is so much more in Quebec to be explored. Areas around Mt. Tremblant and east of Quebec City (south shore of St. Lawrence) deserve more time for exploring. Actually bathing spas (called ‘bains nordiques’) are spotted throughout the province, on either side of the St. Lawrence. Before leaving Quebec I was able to stop in at Appalaches Lodge Spa et Villégiature which still needs a little breaking in, but all baths and saunas were good. So the time came to leave Ottawa, but I was excited to see what the Trans-Canada along the great lakes would offer. I had heard rumours that Thunder Bay had quite the traditional bathing spa culture, due in part to the large number of Finns and Eastern European who had settled there. All it took was asking one person about saunas and we were told that Kanga’s was the place to go. I think that this photo says it all. This is not your luxury spa; rather Kangas provides a weekly or even bi-weekly local spot to get your sweat on. At Kangas you rent out private saunas for a specific time. Each suite has three sections: a change/resting room, a shower room, and the sauna itself. Old and young people ate their Rueben sandwiches at the cafeteria-esque restaurant. Kangas can accommodate from 1 to groups of twenty people in their largest Sauna. And at Kangas you can enjoy a great sweat without the spa prices. What a great place! Kangas don’t change a thing. It’s too bad that this kind of tradition was so often not kept up in Canada. Finally we arrived in Winnipeg. 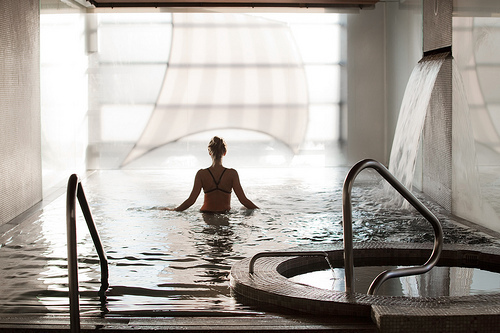 Most people in Winnipeg consider Ten to be the best spa in the city. Its hamam treatment is certainly a unique in that the experience is truly incomparable to any other hamam offered in western Canada. The quality of the steam room and hamam features is note-worthy. Day passes are only $25 but this does not include entrance to hamam. The hamam must be pre-booked and you are taken through the ritual by a massage therapist. If you enjoy a good steam then the day pass is worth it if you bring a book and enjoy the complimentary snacks. The hamam is a good one-time experience but the cost makes it impossible to enjoy frequently. Bathing spa enthusiasts should hold out for the long awaited Nordik-Winnipeg, set to open Fall 2013. But until that opens I believe that for Winnipeggers, it is worth the trip out to Elkhorn Resort for a soak in their mineral pool. In all honesty the spa itself is not large, but there is something very lovely about the mineral pool atrium that they have built. Having the sun shine through while gazing out on the hoar frosted forest while sitting in a soothing mineral bad is very therapeutic. This is not necessarily the kind of place that you should seek out, but definitely stop in if you are in the area, or a nice place to get out Winnipeg. 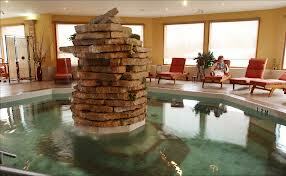 Finally, there’s a lot of talk around Temple Gardens Mineral Spa Resort in Moose Jaw. 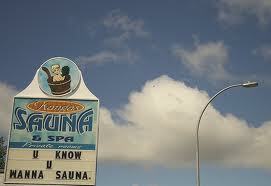 Initially I was very excited that there was a spa attraction on the lonely strip from Winnipeg to Alberta. And so I made time to indulge. The pool was full of people, and many of those people were kids. It was immediately clear that this was a family affair. So in the sense that this is a nice place for families to go to soak and play a bit I’m sure that it is very nice and very much affordable. But let’s not then pretend (like it’s advertising would have us believe), that this pool is a place of serenity, relaxing and restful. I felt like I had been lied to a bit, and my expectations were misplaced. But insofar as it’s nice to sit outside in warm springs and enjoy a hot steam, Temple Gardens is a nice destination for those in Saskatchewan. (Hopefully they will have their change room renos done before you get there). 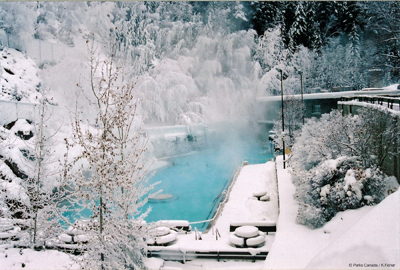 There are many ways to indulge in bathing spa activities throughout this large country. And one thing that has become clear is that other than in Quebec, there is no real standard for bathing spa. There is so much variety in terms of bathing services available, prices, and quality that it really takes a bit a research to discover the best spas in Canada based on the ‘kind’ of spa you are looking for. Canada still has a ways to go to catch up with the spa giants like Germany, Czech Republic, and Japan. But more and more Canadians are beginning to realize that making sweat and heat a part of your regular life, make the long Canadian winters just a little bit shorter.